NY in the desert. Black and white photograph. 30cm x 21cm approx Documentation of the action, October 25, 2012. Downtown Phoenix, Arizona. Painted clay, Scrubble characters. 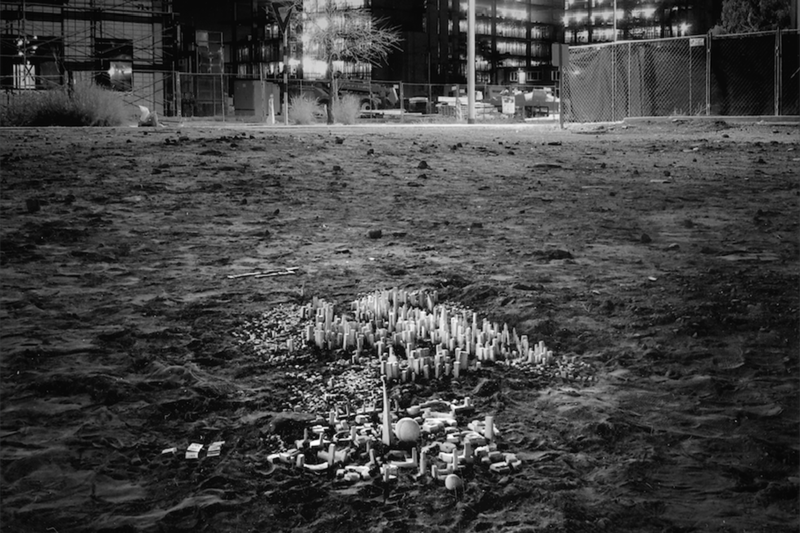 A clay small-scale model of the city of New York is installed in one of the empty lots of downtown Phoenix, Arizona. The model is a imaginary and alternative view of the New York of today with the 1939’s World Fair “Dawn of a New Day” district as still existing and recostucted by heart from old images.